• When one spouse acquires a domestic violence restraining order against the other. How are Spousal Support Orders in Orange County Determined? The idea behind spousal support is to allow both spouses to maintain a standard of living that is similar to what they had during the marriage. While the goal is to have each spouse support him or herself, the length of the marriage can also affect the likelihood that spousal support will be granted, and for how long. Marriages that lasted for ten years or more may result in permanent spousal support. Marriages that did not last for ten years may lead to spousal support that ends when the receiving spouse is able to financially support themselves, or when they are remarried, or when the order is modified or expires. • Do both partners have marketable skills? • What is the local job market for each partner’s skills? • How much time and money will it take for either spouse to obtain the appropriate education or training required to get a job? • If one spouse was unemployed during the marriage, how much has their earning capacity been affected? Domestic violence can also affect a spousal support order. Before issuing the order, the judge will consider any history of violence. Usually, an abused partner will not be required to provide support to a partner who has been abusive or has a criminal conviction for domestic violence against their partner. Spousal support payments may be higher due to emotional distress suffered from violence when the spouse paying support is the abuser. How Is Spousal Support Orders in Orange County Calculated? Learn How Spousal Support Orders in Orange County California are Calculated? Spousal support can be issued temporarily during a divorce or domestic violence case. This amount may vary by county, but your spousal support lawyer in Southern California can help you determine what the amount will be in your case. In long term or permanent spousal support orders, a judge considers various factors in determining the amount of support that will be required. • How long was the marriage? Longer marriages lead to more permanent support requirements. • What are the needs of each partner? The expected standard of living should be similar to what it was during the marriage. • What can each person afford to pay? If one party is unemployed or has no marketable skills, they are more likely to receive support and will likely not have to pay. • Are children involved in the marriage? If caring for children prevents one partner from working full time, they are more likely to receive more spousal support (in addition to child support). • What are the ages of the parties? Are they in good health? This can affect earning capacity of either party. • What debts and assets exist within the marriage? • Several other considerations, like taxes and employability, may also be included. 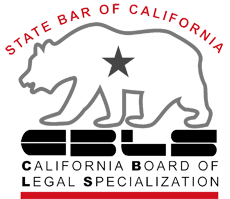 Your Southern California spousal support lawyer will be able to help you understand how the laws, regulations, and varying considerations might apply in your case. 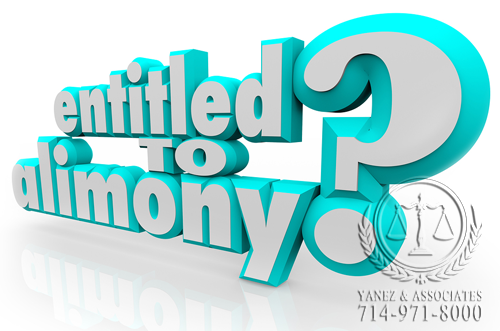 Contact Yanez & Associates today for your free initial consultation. 1.1 How are Spousal Support Orders in Orange County Determined? 1.2 How Is Spousal Support Orders in Orange County Calculated?